A re-elected Turnbull Coalition Government will invest $590,000 to support the invaluable contribution the Greek community makes to Melbourne. "It is a great day for our organisation and for the Greeks of Melbourne," said Mr. Papastergiadis. 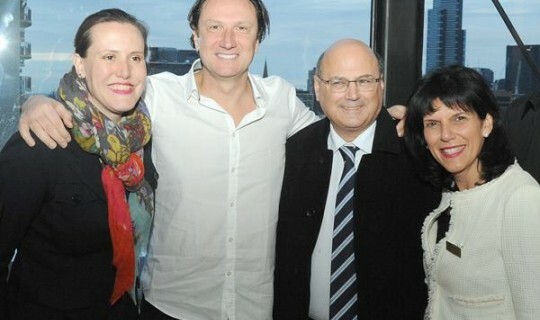 "Senator Sinodinos has a deep understanding of the benefits of multiculturalism and the role that the Greek community has played in Australian history and culture. The programs designed by our community highlight the rich history of Greeks in Australia and the Greek Community of Melbourne. "But our story does not end here and with this grant we can continue the journey of the Greeks in this country and strive to develop and further increase our rich contribution. "The Greek Community of Melbourne wants to set an example of how a community can work coherently and constructively, and this is more important than ever, as we have so many emerging migrant communities in Australia. The Greek Community wants to work with them and help them in this journey and at the same time to learn even more about itself and its place in Australia. " "We would like thank the Coalition because it recognizes our work and the Greek contribution in Australia and is prepared to assist our educational and cultural programs."